AMHERST, N.S. - Former Conservative and Independent MP Bill Casey says he plans to seek the federal Liberal nomination in his Nova Scotia riding of Cumberland-Colchester-Musquodoboit Valley. Casey says there are several reasons why he wants to re-enter politics, but primarily he wants to "raise the alarm" about the declining state of the parliamentary system. He says he would be comfortable in joining the Liberals having gotten to know Leader Justin Trudeau during his time in parliament. Casey says he has the nomination papers but is still in the process of completing them. 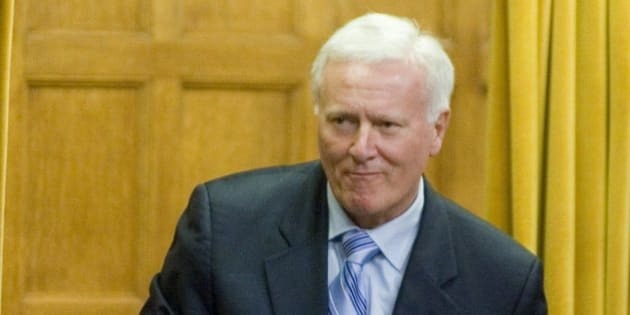 Casey, who retired from politics in 2009, was kicked out of the Conservative caucus in 2007 when he voted against the budget after saying it undermined the Atlantic Accord governing offshore royalties. The riding is currently held by Conservative Scott Armstrong.